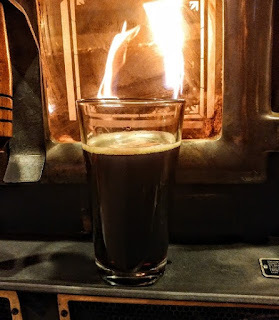 X-Mas Ale 2013 ... My Category 22 — Smoke-Flavored/Wood-Aged Beer for back when I was doing the BJCP Goal. X-Mas Ale 2014 ... The base beer of 2012 without any extra spices or flavoring. X-Mas Ale 2015 ... The base beer again, only cutting back a little on the ABV and the caramel malts. X-Mas Ale 2016 ... This year's Peppermint Beer. #7 ... (aka Last) ... X-Mas Ale 2013 ... 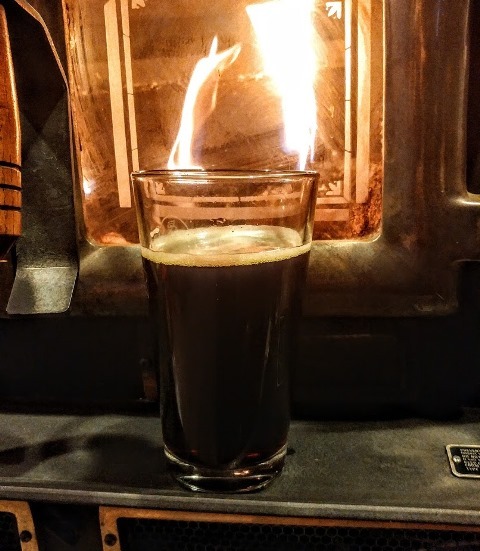 There is just too much smoke in this beer. Sometimes I think it tastes ok. Sometimes I don't even think I would consider it ok.
#6 ... X-Mas Ale 2011 ... Sometimes I'm in the mood for the Hazelnut extract, but sometime I am not. I always enjoy the other beers (other than the smoked beer) better than this one. #5 ... X-Mas Ale 2010 ... Of the spiced beers, this one is pretty good. I do enjoy it. Just not as much as the non-spiced beers. #4 ... X-Mas Ale 2012 ,,, 2016 and this one are very close. I prefer the 2016. The Beer Model prefers this one. As I said ... close. #3 ... X-Mas Ale 2016 ... Pretty close to 2012. I like this one slightly better. #2 ... X-Mas Ale 2014 ... The base beer of the 2012 version. When it comes right down to it, I prefer Beer-Flavor in my X-Mas Ales. 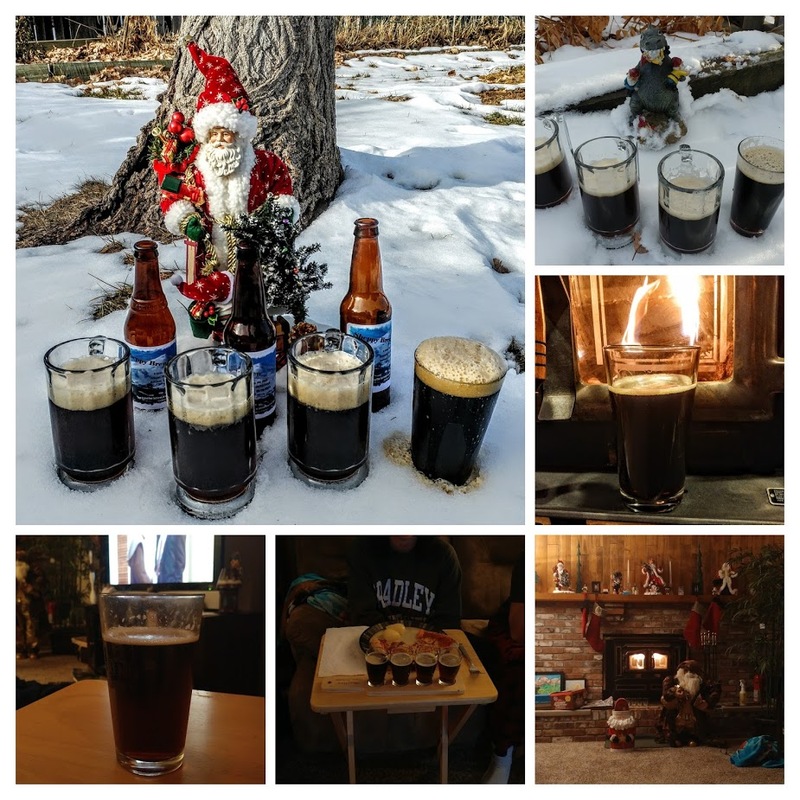 #1 ... X-Mas Ale 2015 ... Again .. just a base beer without any "non-beer" flavorings. I prefer this on over 2014, but not by a huge amount. 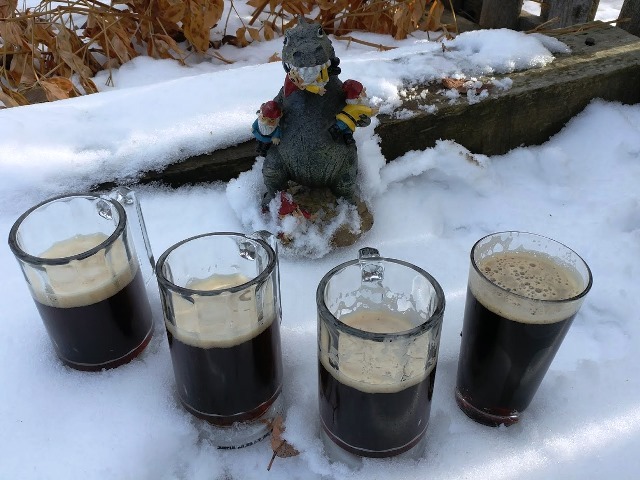 And so based on this year's vertical flights, In 2017, I'm thinking I'll go with another beer like 2014 and 2015. I may just go with this year's recipe and leave out the peppermint extract, but you'll have to wait until I brew it to know for sure. Note ... later in the evening, I blended 2013, 2014, and 2015. The mixture was also too smokey for my taste. Better than 2013, but not as good and 2014 and 2015 by themselves. Oh well. 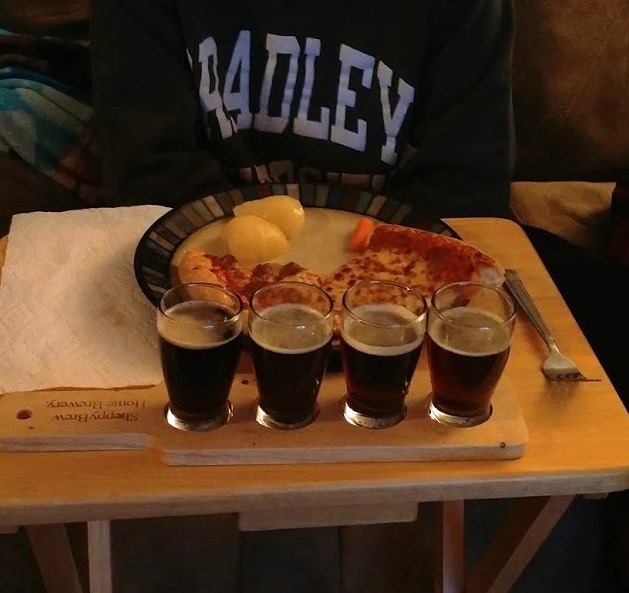 The Beer Model also did a flight. Last night. She ranks 2013 as the worst (again because of the smoke flavor). She ranks 2012 #1. That concludes all I have to say about this year's X-Mas Ale Vertical Flight. 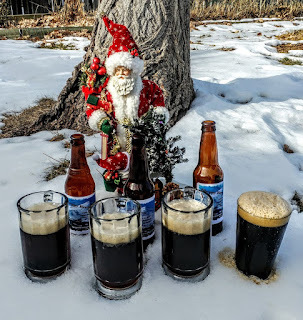 Remember that you can read everything I've put on this blog and everything I ever will put on this blog about these X-Mas Ales at Sheppy's Blog: X-Mas Ales.